The enhancement of security measures in Germany on New Year's Eve didn't prove sufficient as 23 complaints about sexual assaults have already been filed by women in the police office in Berlin. Late December, representatives of the German police stated that increased security measures were taken on New Year's Eve in Berlin and other German cities to ensure people's safety. 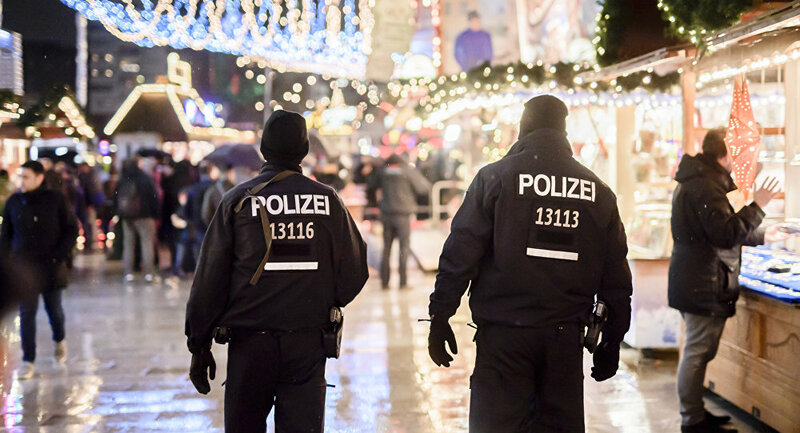 About 1,700 police officers should have ensured security during the New Year celebrations in the German capital. However, it didn't help much in terms of preventing cases of sexual assaults committed by migrants against women. According to recent information, the suspects have been identified as migrants, Der Tagesspiegel reported on Tuesday. Two of them have Pakistani citizenship and are both 25 years old. Another suspect comes from Iran. The fourth man is 26; his nationality so far remains unknown. "In most cases, the suspects touched the women's genitalia, their back or breasts. These are the most common acts that have been registered so far. In several cases they were committed by a group of men. In others — by individual perpetrators," the spokesman of the Berlin police, Thomas Neuendorf, told Sputnik Germany. The problem of sexual abuse against women has become evident in Germany after the last year's sexual incidents in Cologne, when women were sexually assaulted by people of Arab-African origin during the New Year's celebration. The incidents also took place in other German cities and were repeated this year despite the introduction of tougher security measures by the state authorities. According to Neuendorf, the police assume that there were more than four suspects responsible for the attacks. The victims said there were groups of offenders of up to ten men, which is why the police are going to continue the search and primarily focus on video recordings made with private mobile phones, the police spokesman said. The incidents caused vivid reaction among social media users who expressed their concerns about the level of security in the country. Well, it was clear… did not expect anything else… and that is only the tip of the iceberg. Sad, sad. Nothing else to say about what has become of our security!!!!!!!!! No woman is safe in her own country anymore. Very Bad.